The perfect hill country getaway! All package prices include an 18% gratuity. Celebrate your new arrival by treating Mom-to-be to a half-day of relaxation and rejuvenation. The day begins with a Maternity massage to relieve stress, aches and pains. Next, enjoy a European facial to enhance her natural glow and end with a spa pedicure to soothe her tired feet. A heavenly day awaits. Treat Mom to a luxurious body treatment and let the cascading waterfall of the Vichy shower cleanse and soften her skin. Let our Swedish massage release the tension and stress from her body to restore her spirit. Next, achieve vibrant, healthy skin with a European facial. Finally, pamper her with a manicure and pedicure to leave her hands and feet looking beautiful. Lunch is provided. Relieve your body of toxins and improve your body’s circulation with a Swedish massage. 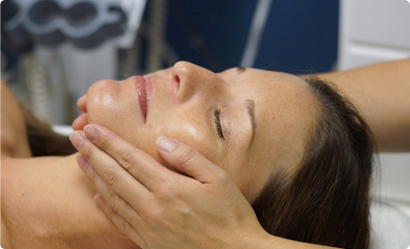 Say goodbye to the impurities in your skin as you enjoy a European facial. Replenish the nutrients and hydrate your hands and feet with a manicure and pedicure to leave you feeling rejuvenated. Let us work hard for you. Begin with a Swedish massage to improve your overall well-being, then restore your skin’s natural glow with a hydrating European facial. Finally, relax your weary feet with a spa pedicure. Before you walk down the aisle, spend a day of beauty with us. Start off with a Swedish massage to release stress and anxiety, followed by a European facial and eyebrow reshaping to leave your skin looking and feeling radiant. Next, primp those hands and feet with a spa manicure and pedicure and end with a make-up application. Need to look your best, but do not have the time for all the pampering? Our mini-manicure and mini-pedicure will provide your basic grooming needs. Finish with a haircut to complete the prep for that important meeting. Your feet need a rest after walking those greens, your body needs treatment after working on that swing, and your skin needs attention after being exposed to the sun. Relax and rejuvenate with a Foot Reflexology session to soothe your feet and balance your body, a Sport massage to work out those sore muscles, and a men’s European facial to hydrate and protect your skin.